The next subject to shoot in this challenge is water. 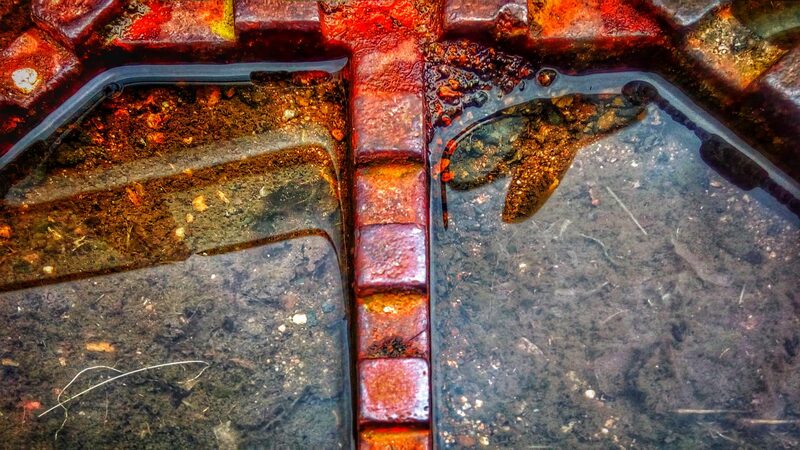 Since I couldn’t be bothered, I shot a manhole whose dents retained some rain water (and a lot of dirt). Admit it though: doesn’t the manhole look sort of picturesque? This is great, Mara! It looks like a biggish fish in the right side of the manhole cover. OMG, it does look like a fish!! I didn’t notice before. You have a great eye! It’s autumn colours in a manhole cover ! It’s autumn colours everywhere around these days! Such vivid colors! Looks artistic!